09 - 2015) AUTORIZZAZIONE DI RICORSO ALL’ANTICIPAZIONE DI TESORERIA DI CUI ALL’ARTICOLO 222, COMMA 1, D. LGS. 267/2000. ANNO 2015. 12 - 2015) CONFERIMENTO DI INCARICHI PER LA GESTIONE DEL SERVIZIO IDRICO INTEGRATO. ANNO 2015. 13 - 2015) CONFERIMENTO DELL'INCARICO PER LA GESTIONE DELLA CONTABILITÀ DEL PERSONALE. ANNO 2015. 14 - 2015) DISPOSIZIONI ORGANIZZATIVE IN MERITO AGLI ADEMPIMENTI DI CUI AL D. LGS. 81/2008. CONFERIMENTO DEGLI INCARICHI PER LE FUNZIONI DI RESPONSABILE SERVIZIO PROTEZIONE E PREVENZIONE E DI MEDICO COMPETENTE SUI LUOGHI DI LAVORO. ANNO 2015. 17 - 2015) DELIBERA DI GIUNTA COMUNALE N. 17/2015 ''RENDICONTO DI GESTIONE ESERCIZIO FINANZIARIO 2014 - APPROVAZIONE DELLO SCHEMA DA SOTTOPORRE AL CONSIGLIO COMUNALE''. 21 - 2015) DELIBERA DI GIUNTA COMUNALE N. 21/2015 DEL 29/04/2015 ''FONDI DI CUI ALL'ARTICOLO 18 D.L. 69/2013, CONVERTITO DALLA L. 98/2013 E DI CUI ALL'ARTICOLO 3, COMMI 1 E 1-BIS D.L. 133/2014, CONVERTITO DALLA L. 164/2014, PROGRAMMA NUOVI PROGETTI DI INTERVENTI. COMUNE DI VOLTAGGIO: LAVORI DI MESSA IN SICUREZZA EDIFICIO SCOLASTICO - SCUOLA INFANZIA STATALE SANTA MARIA - SCUOLA PRIMARIA STATALE DOTT. CESARE ANFOSSO IMPORTO PROGETTUALE EURO 250.000,00. APPROVAZIONE PROGETTO DEFINITIVO''. 22 - 2015) DELIBERAZIONE GIUNTA COMUNALE N.22/2015 FONDI ARTICOLO 18 D.L. 69/2013 - NUOVI PROGETTI DI INTERVENTI - LAVORI DI MESSA IN SICUREZZA EDIFICIO SCOLASTICO - IMPORTO PROGETTUALE EURO 250.000,00 - PRESENTAZIONE ISTANZA. 26 - 2015) ATTO IN MATERIA DI DETERMINAZIONE DI TARIFFE RELATIVE ALLE ENTRATE EXTRATRIBUTARIE DEL COMUNE - ANNO 2015. 27 - 2015) ATTO IN MATERIA DI DETERMINAZIONE DI TARIFFE RELATIVE ALLE ENTRATE TRIBUTARIE DEL COMUNE. ANNO 2015. 28 - 2015) DELIBERA DI GIUNTA COMUNALE N. 28/2015 DEL 26/06/2015 ''BILANCIO DI PREVISIONE ESERCIZIO FINANZIARIO 2015. PLURIENNALE 2015 - 2017: APPROVAZIONE DEGLI SCHEMI E DELLA RELAZIONE PREVISIONALE E PROGRAMMATICA''. 29 - 2015) DELIBERAZIONE DI GIUNTA COMUNALE N.29/26.06.2015 “ATTIVAZIONE PROGRAMMI PER SPESE URGENTI DI MANUTENZIONE STRAORDINARIA ED ACQUISTI STRAORDINARI. ASSEGNAZIONE DI BUDGET”. 30 - 2015) DELIBERA DI GIUNTA COMUNALE N. 30/2015 DEL ''VARIANTE PARZIALE AL P.R.G.C. DEL COMUNE DI VOLTAGGIO. PROCEDURA DI VERIFICA PREVENTIVA DI ASSOGGETTABILITÀ A VALUTAZIONE AMBIENTALE''. 40 - 2015) ORDINANZA COMMISSARIALE N. 2/A18.000/217 DEL 01/04/2015. LAVORI DI MANUTENZIONE IDRAULICA TORRENTE MORSONE E CARBONASCA. IMPORTO PROGETTUALE EURO 20.000,00. ATTIVAZIONE PROGRAMMA. 41 - 2015) ORDINANZA COMMISSARIALE N. 2/A18.000/217 DEL 01/04/2015. LAVORI DI SISTEMAZIONE ALVEO RIO POLVERINO A MONTE TRATTO INTUBATO. IMPORTO PROGETTUALE EURO 30.000,00. ATTIVAZIONE PROGRAMMA. 44 - 2015) BILANCIO DI PREVISIONE DELL'ESERCIZIO 2015. BILANCIO PLURIENNALE 2015 - 2017. NOTA DI VARIAZIONE N. 1. 51 - 2015) VARIANTE PARZIALE AL P.R.G.C. DEL COMUNE DI VOLTAGGIO. 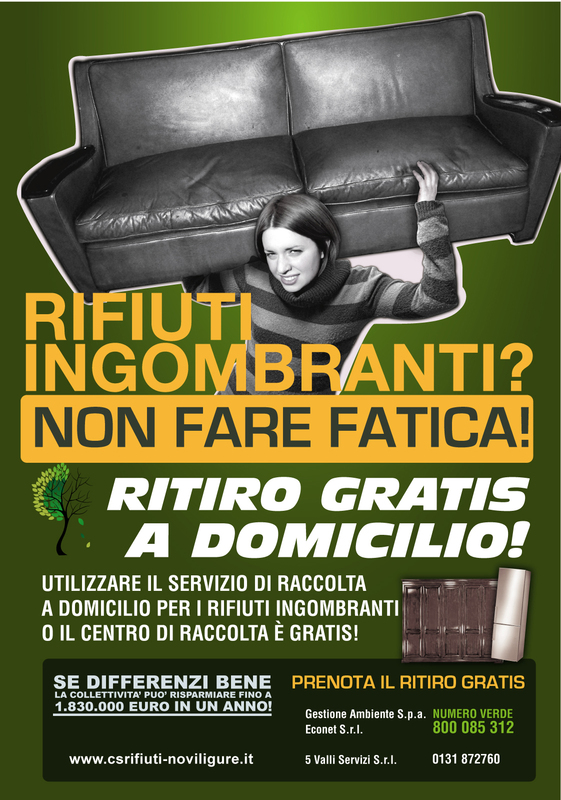 PROCEDURA DI VERIFICA PREVENTIVA DI ASSOGGETTABILITÀ A VALUTAZIONE AMBIENTALE. CONCLUSIONE DEL PROCEDIMENTO. 52 - 2015) LAVORI DI MANUTENZIONE IDRAULICA TORRENTE MORSONE E CARBONASCA. IMPORTO PROGETTUALE EURO 20.000,00 – APPROVAZIONE PROGETTO PRELIMINARE/DEFINITIVO.